A much changed Wallingford side made far too many errors to ever come away with anything from this game. Wallingford travelled the long road to Stow on a blustery day, with a squad of just 16 due to the late withdrawal of Jackson Sayce due to injury. Due to injuries, ski trips and 6 Nations, Wallingford were only able to field three players in the same position as last week, with Matt Dawes and Ralph Smith forming a makeshift half back partnership, whilst the back three had the unfamiliar combination of Lenford Eugene, flanker Tom Hill and young Nick Wiltshire. Straight from kick off the errors started, as no one claimed the kick and the ball bounced into Stow hands, and after a couple of phases the ball was moved left and they opened the scoring. 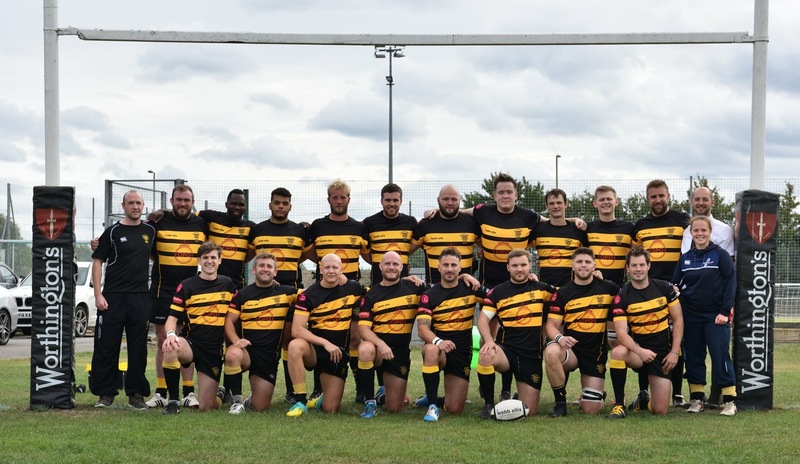 A second try soon followed as Stow made a strong start, albeit they were lucky to keep fifteen men on the pitch as the referee penalised then for stamping on Ed Searle’s sizeable head, but as the referee couldn’t pick a number (no.8 was a safe bet), no card was issued. Wallingford finally woke up, and scored a well taken catch and drive, with Conner Murphy emerging with the ball, but straight from the re-start, Wallingford made an absolute pigs ear of the catch, gifting the Stow chaser with the softest of tries. Then the game saw twenty minute delay as a Stow forward seemed to be in real trouble after a knock to the head, and an ambulance was called (fortunately it wasn’t as serious as first feared). Moved to a new pitch, Wallingford started strongly, and after several phases, Craig Irwin cut a fine line off Smith to break through on the twenty two and showed his deceptive pace to touch down. Less said about the second half the better from a Wallingford perspective. Stow played some good rugby, but Wallingford were woeful, lacking energy and desire, they coughed up possession over and over again, and Stow took their chances well. Only bright sparks were the excellent display of 17 year old Nick Wiltshire switching to full back, Matt Dawes’ solid display coming out of retirement, and Pete Holton’s determined running in the centres. Windsor away in two weeks, lots to improve on.